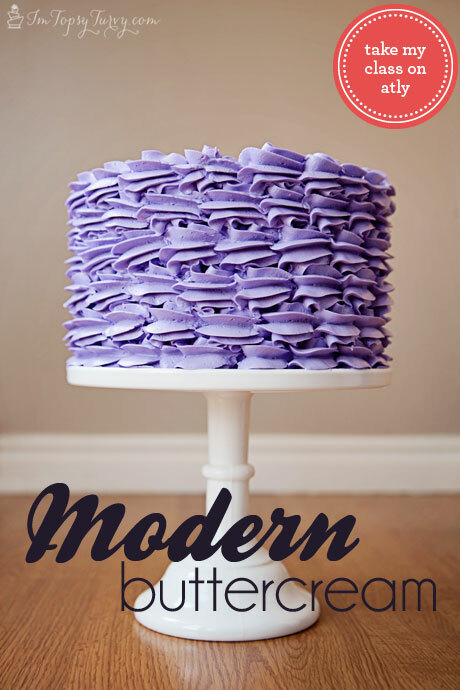 I have been loving the new buttercream trend, and smash cakes are the perfect medium for them! When I saw this cake on pinterest I knew I HAD to try it! Shells are a classic boarder, a bit outdated, but this is the perfect update for the shell! Because this was part of a twin smash cake session both cakes had to be somewhat similar, and the other cake (for the boy) was a crescent cake, so rows and columns. So we wanted the girl’s cake to be ruffle-y but also have the rows and columns. When I do this frosting again I’ll alternate where the shells are in each row, more like the inspiration cake. I think I’ll like it even better that way, although I usually like order and even-ness. I can’t WAIT to see how the session went! This was part of a Twin Smash cake, so head over and check out the Crescent Buttercream smash Cake I made for her brother! I love it! It looks so pretty and I love the color. The twins are so cute! thanks! I agree, I love the color too. GORGEOUS and adorable 🙂 Now I’ve got a hankering for something sweet and frosted. 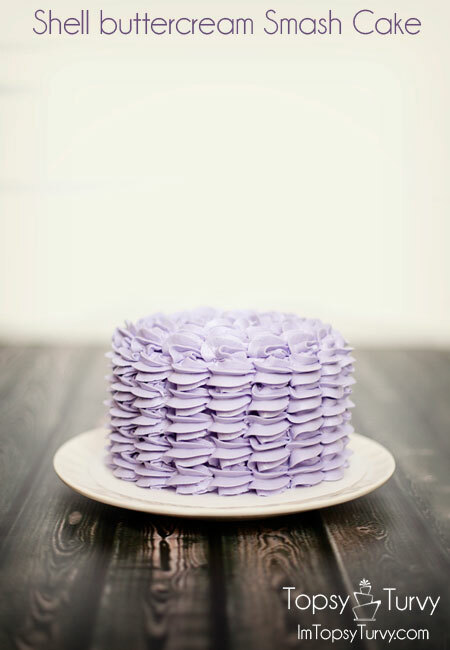 Thanks for teaching me how to do the crescent frosting technique because I LURV how pretty it is (and meditative)! well I have sweet and frosted stuff ALL the time at my house, come on by! Please don’t smash it! It’s too pretty! Awesome job, Ashlee! Ahhh! Adorable! Those little cuties don’t know how good they’ve got it! They sure don’t, did you see the twin’s cake, he cried through the whole thing… they barely enjoyed the cake and frosting at all! Can I ask what your buttercream is? Is it shortening based? I’m looking to do these, but am stumped on that! 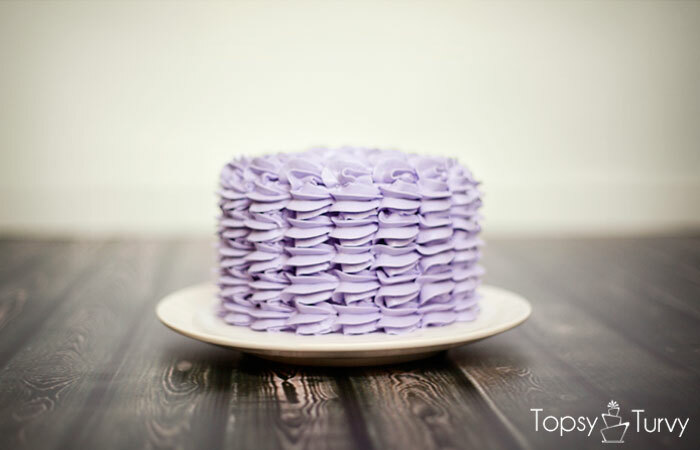 for decorative frosting going with shortening based is best, butter melts to easily and is too soft and doesn’t hold the shape well. 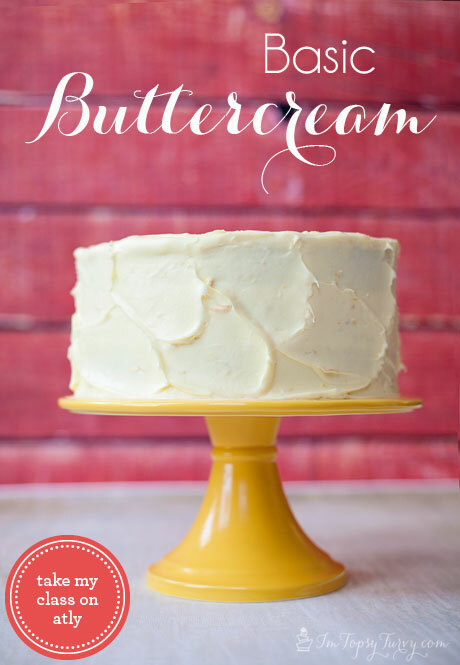 you can frost with a butter buttercream, then decorate with a shortening buttercream to get the good flavor, but for smash cakes why bother. 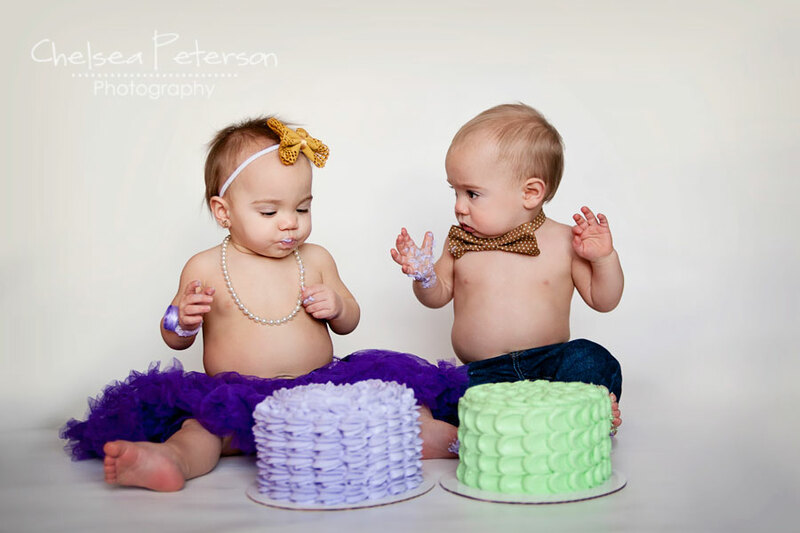 Babies + cake = too cute!!! 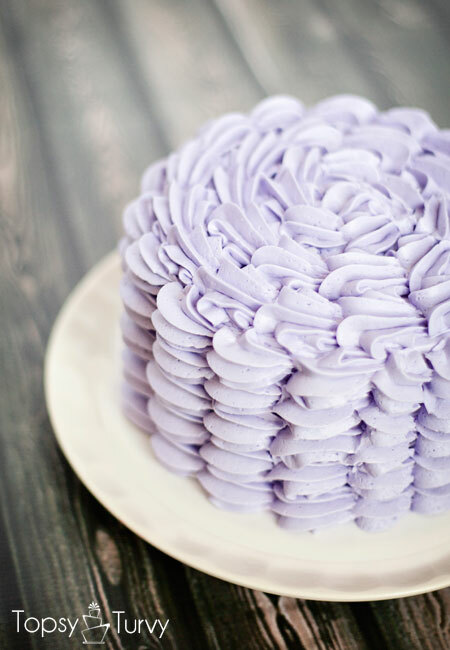 This cake looks so yummy! 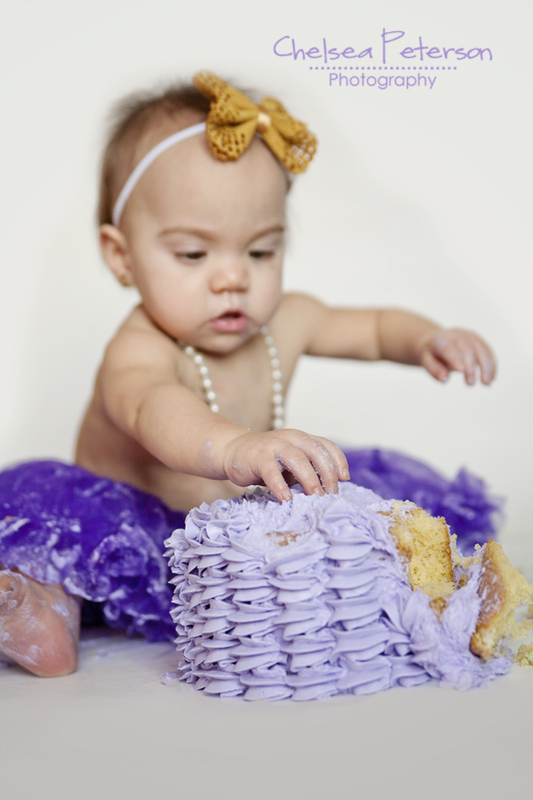 thanks, and I agree, smash cakes are SO much fun, the dirty fingers and toes, etc… so cute! I used a 2D, I like the closed star, but a 1M would work too.